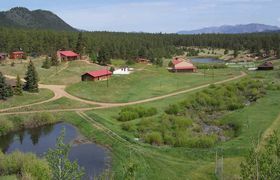 Spend your summer at a historic children's camp in the cool Colorado mountains!! 35 miles west of Colorado Springs with great views of Pikes Peak and the Rampart Range! Florissant, Colorado in the middle of Pike National Forest.